All styles shown here are from the same original service, gently used. Knives and Forks featured are of the Grille or Luncheon type. Dinner Knives and Forks are available on this page. All other styles shown are used with both Dinner or Grille services. 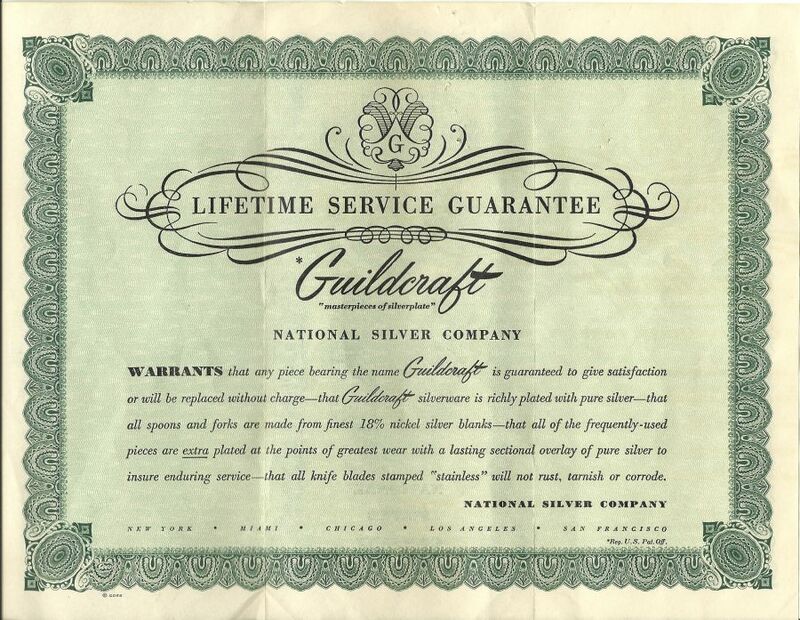 View National Silver Company Guildcraft Certificate of Guarantee here*. *This Guarantee came from the original American manufacturer who is no longer in business. It is not valid in the vintage resale market and shown here only for informative purpose.